As far as Meredith Jarocki’s art career in college is concerned, she started work on painting landscapes but wanted to explore in greater detail those landscapes and locations that were special to her. She has always created works which reflect organic materials because she finds them more enjoyable to render than manmade objects. These landscapes of the past have led Jarocki to her current work: exploring driftwood from Driftwood Beach on Jekyll Island, Georgia. 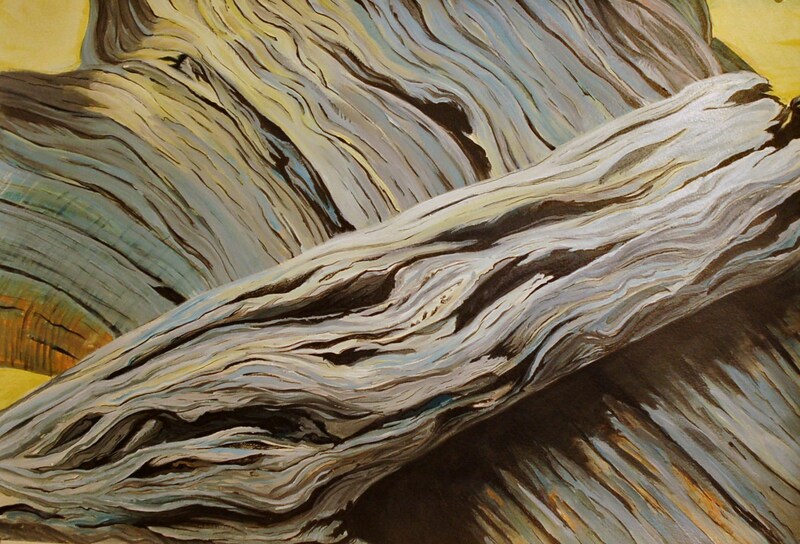 Jarocki is working on a series that examines driftwood in a non-traditional way by highlighting the tragedy and beauty of the seemingly thriving but lifeless trees through paint and pencil drawings.